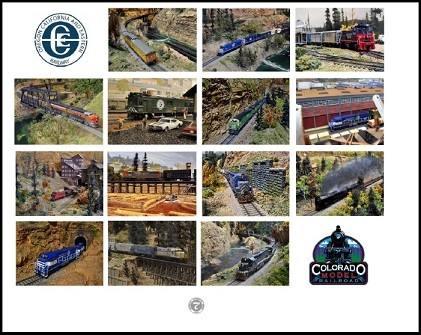 Our calendar that shows some beautiful shots of the OC&E layout. They’re here! Each fall the museum releases a totally new calendar featuring photos taken from a single, world-class model railroad: the Oregon, California and Eastern Railway, located at the Colorado Model Railroad Museum at the Greeley Freight Station. This year marks the tenth year of a special annual release in a series that is planned to cover a span of 12 years. 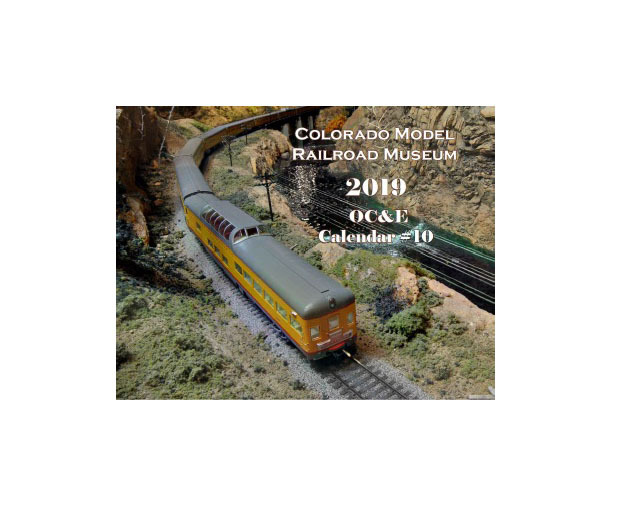 The 2019 Limited Edition version is now available in the museum gift shop and is sure to join its seven predecessors as an instant collector’s item. Serious model railroaders need one of these in their train room just to serve as inspiration, if not keeping track of what day it happens to be. While they last, calendars are $9.95 plus shipping.